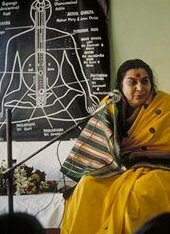 Shri Mataji Nirmala Devi “In the Puranas, in the ancient scriptures of India, Christ is described so very clearly. Actually in the Bible what they saw of Him when He was on this Earth was written down, but not in what created Him; how He came on this Earth; what is the Spirit of Christ; what is the seed of Christ; and how He came; and what was His purpose; and where does He stand within us. And all those things are not described in the Bible. 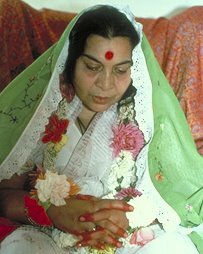 Shri Mataji Nirmala Devi “But in the West we still are very much attached to the nonsense of Christianity. It has nothing to do with Christ, believe Me, and this fanaticism which is lingering still in your mind must be given up, otherwise you do not do any justice to Christ. That by no chance means you take to another religion like Hinduism or any other nonsensical Jainism, or anything. The essence, the Tattwa, of Christianity is Christ. And it is so thickly clouded by all these nonsensical things that you really have to drop this word 'Christianity' from your vocabulary completely, and from your mind. Otherwise you can never go to the essence. It is a fact; take it from Me. Yes, Jesus Christ is "The Holiest of the Holy" and "You accept that position.” But if you follow any guardian of the religious regimes you will be as blind and ignorant as those who lead you — priests, pastors, reverends, bishops, popes, rabbis, clerics, imams, mullahs, shaikhs, ulema, ayatollahs, gurus, swamis, pandits, brahmins, acaryas, bhagwans, granthis, gianis, lamas, monks, and dalai lamas. 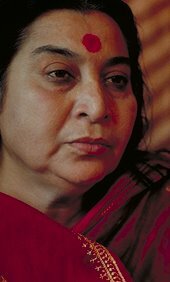 The same goes for those following the WCASY (World Council for the Advancement of Sahaja Yoga) and their SYSSR (Sahaja Yoga Subtle System Religion). i know without any doubt whatsoever that the Comforter is absolutely right because i too don't follow any religion in particular, even to learn about Christ and His message. The main thing that one has to understand is that the time has come to get all that is promised in the scriptures, not only in the Bible but all the scriptures of the world which is the eternal afterlife! The Adi Shakti has triggered that collective promise, with personal experience of the Cool Breeze of the Holy Spirit to back the Resurrection. God can be found by anyone who seeks. According to the Gospel of Thomas, Jesus suggests that when we come to know ourselves at the deepest level, we come to know God: 'If you bring forth what is within you, what you bring forth will save you.' All the religions and philosophies tell us of Union with the Divine, but are unable to make this experience a reality. This knowledge is only accessible in sayings and remains fixed at the mental level, keeping us far from the pure knowledge, which springs from the source inside human beings. This realization of, and union with Self (atma jnana) is what the Comforter has been tirelessly preaching for more than three decades.